A team of Belgium fertility doctors announced development of an in vitro fertilization (IVF) process that uses laboratory equipment much less expensive than traditional equipment. In their presentation to the European Society of Human Reproduction and Embryology (ESHRE), they suggest the technology could be highly beneficial to undeveloped nations where there is no access to IVF due to its high cost. In addition to expensive lab equipment, the IVF patient in developed countries where the technology is available usually pays around $15,000 per cycle. The Belgium team suggests a patient cost of $260 for a test-tube baby could be possible in the near future. Elke Klerkx, lead researcher for Belgium's Genk Institute for Fertility Technology, describes her team's results as "a major step towards universal fertility care," especially good news in places like Africa, where limited healthcare resources and high rates of infection from diseases such as tuberculosis, gonorrhea, and chlamydia can obstruct Fallopian tubes, leading to infertility and the social isolation it brings in many cultures. Klerkx says World Health Organization's (WHO's) data indicate as many as 2 million couples experiencing fertility difficulties, much of which might be resolved by affordable IVF. The prevalence of global infertility lasting 12 months or longer is thought to be around 9% in women in the 20-to-44 age bracket. 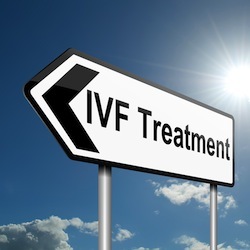 Klerkx' study team compared the success rate from 35 cycles of standard IVF to the low-cost system. Independent expert assessment determined two-thirds of them came from the low-cost procedure. The Genk team conducted their study in Belgium in a state-of-the-art laboratory but is currently building an IVF lab using the low-cost equipment and procedures they used in the study. The expectation is to lower the cost of building and equipping the traditional IVF lab from $20 million to $38 million to around $380,000. Construction is expected to be completed by November 2013. Once operational, the clinic will be open for training doctors from developing nations. Source: European Society of Human Reproduction and Embryology. "IVF for 200 euro per cycle: First real-life proof of principle that IVF is feasible and effective for developing countries." ScienceDaily, 8 Jul. 2013. Web. 15 Jul. 2013.